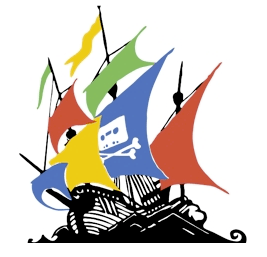 Copyright holders have asked Google to remove four billion links to 'pirate' search results over the years. The vast majority of these requests were honored. This includes hundreds of millions of URLs which are not yet indexed. These end up on a preemptive blacklist instead. For most people, search engines such as Google are an essential tool to enjoy the web in all its glory. With clever algorithms, the company offers a gateway to billions of sites, many of which would otherwise remain undiscovered. This also includes many ‘pirate’ sites. While there are plenty of people who don’t mind seeing these show up in search results, their presence is a thorn in the side of copyright holders. At the beginning of this decade, this problem was hardly recognized. When Google published its first transparency report, it received just a few thousand requests per day. Today, that number has grown to well over two million. For years this number kept going up and up. While that trend was broken recently, the total now adds up to an impressive figure. Google’s transparency report shows that copyright holders have asked the company to remove four billion links to alleged copyright-infringing content. The majority or these requests, more than 90%, were indeed removed or put on a preemptive blacklist. The four billion links were reported by 168,180 copyright holders who identified 2,283,811 separate domains. These domains also include false positives, including websites of The White House, the FBI, Disney, Netflix, the New York Times, and even TorrentFreak. Most reported links do indeed point to copyrighted material, however. Google typically takes these out of their search engine softly after a request comes in. This means that the takedown process works as intended. However, it remains controversial. Several major copyright groups see the huge number of reported links as evidence that their efforts are futile. No matter how many links they submit, there are always new ones to find the next day. “Every day we have to send new notices to take down the very same links to illegal content we took down the day before. It’s like ‘Groundhog Day’ for takedowns,” RIAA CEO Cary Sherman described the situation previously. Ideally, the major copyright groups would like Google to remove all results from known pirate sites. However, the search engine believes that this goes a step too far, warning that it could lead to overbroad censorship. “Although this would reduce our operational burden, whole-site removal is ineffective and can easily result in the censorship of lawful material,” Google wrote in its latest overview of anti-piracy measures, published late last year. Google itself is not completely apathetic to the piracy issue. It does ‘demote’ sites for which it has received a substantial number of takedown notices. These will then appear lower in search results. The demotion ‘signal’ can weigh even stronger for specific keywords, such as recently released films. This demotion strategy gives copyright holders a “powerful tool against rogue sites,” Google notes. When new pirates sites appear, copyright holders can target these with takedown notices, after which Google will demote them. As such, the four billion reported links will likely be five billion by the end of next year.